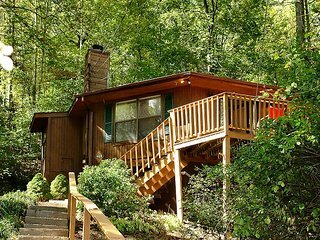 Aunt Bug's Cabin Rentals is the recognized leader in luxury cabin rentals in Gatlinburg, Pigeon Forge, & Smoky Mountains offering the finest of furnishings for the romantic getaway and family fun. 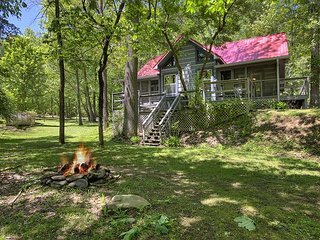 Whether you are looking for a cabin with a spectacular mountain view or a cabin on the Little Pigeon River, Aunt Bugs Cabin Rentals offers affordable deluxe cabins & large lodges to suit your family's needs and vacation budget. 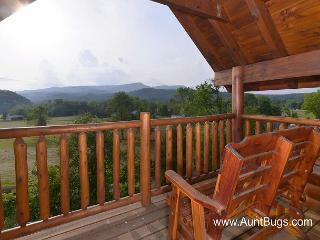 Luxury cabins in premier Smoky Mountain locations can be yours with Aunt Bug's Cabins. Just as you won't find more fun than Gatlinburg/Pigeon Forge and the Smoky Mountains, you also won't find better lodging and hospitality in the area than here. From economy cabins to lavish rentals with private indoor pools, Jacuzzis and even rock climbing walls - they've got it all. Each cabin boasts mountain views, fine furnishings and access to attractions like the National Park, Dollywood and Ripley's Aquarium. Aunt Bug's has something for everyone! Some pet friendly. Experience a Little Bit of Heaven in This Beautiful 2 Bedroom Log Cabin. The perfect retreat just minutes from downtown Pigeon Forge and Gatlinburg! 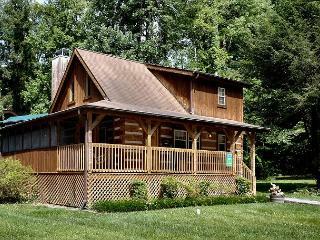 River Views at this New Pigeon Forge Log Cabin! 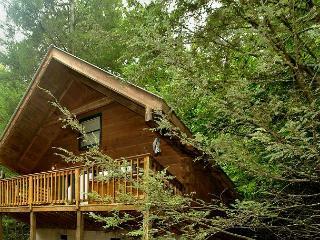 Secluded 1 Bedroom Romantic Cabin with Hot tub and Relaxing River Sounds!